Article explaining the origin, temperament, health, and care requirements for owning an English Bulldog. 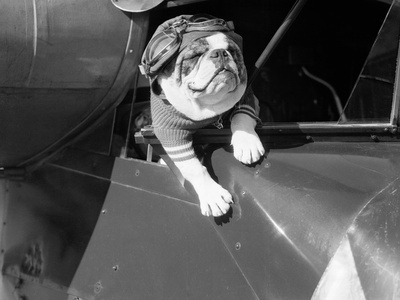 Bulldogs have been mentioned in history since at least the 1500s in literature. The breed is said to have gained the word “bull” in its name because it was commonly used for bull baiting. The bull baiting were events where the richer people placed bets on dogs that were tethered to bulls. The victor was the dog who could grab the bull by the nose and pin it on the ground. This was a very gruesome sport; in fact, it was very common for a bull to kill several bulldogs in one event by trampling, goring, or tossing them. Although this sport was immensely popular in the early 1800s England, it was made illegal and viewed as cruelty to animals in 1835. History shows that dog breeds commonly used for bull-baiting developed massive jaws and heads, as well as stocky bodies. In the past, the breed was viewed as having a savage and ferocious temperament; although today we know that is certainly not true. 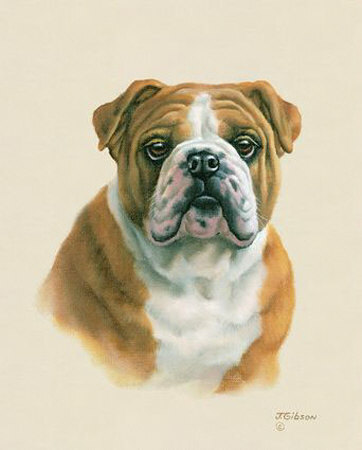 The English Bulldog is regarded as the single oldest dog breed included in the Bulldog Club in England. 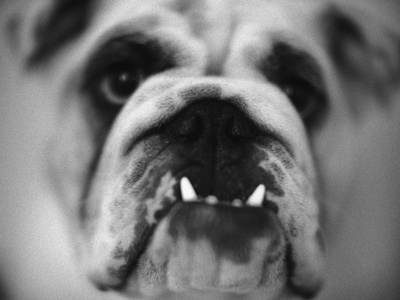 The English Bulldog features characteristic wide shoulders and heads along with mandibular prognathism. The dogs commonly have wrinkle folds on their brow and black, round, wide-set eyes. 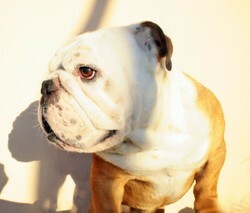 This type of bulldog has a fold referred to as a “rope” just above its nose and excess skin that hangs below the chin. In addition, they have lips that droop and occasional underbites. The dogs feature a coat that is short, sleek, and flat. They are available in several colors such as variations of: white, red, fawn, piebald, and brindle. Male English Bulldogs commonly weigh 45-55 pounds, where female ones weigh between 40 and 50 pounds. The English Bulldog is also one of very few dog breeds that are born with a naturally short tail; hence, there is no docking involved which is the case with other breeds. Despite their over-grown bullish look, the English Bulldog is one of the most docile and tractable breeds. They are even credited as being one of the best breeds for homes with toddlers due to their uncanny patience and unwillingness to bite. Although the breed can sometimes be willful, they are generally friendly and gregarious creatures. 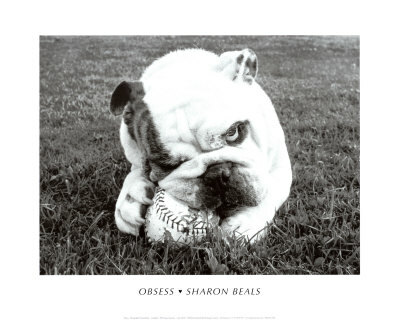 Viewing an agitated bulldog may give you a good look into why the phrase “stubborn as a bulldog” was coined. The dogs are not overly active which could be one of the reasons they scored so low on Stanley Coren’s The Intelligence of Dogs scale. In fact, they are ranked 78th of 80 breeds. In other words, they hold a very low degree in terms of obedience intelligence and working. According to the American Kennel Club (AKC), the English Bulldog should be courageous, resolute, equable, and kind. In addition, the breed should not show any aggression or viciousness. Their demeanor should remain dignified and placatory. As a rule of thumb, the English Bulldog can easily make a wonderful addition to any family because they are known to get along well with cats, dogs, other animals, and children of all ages. They are an all-around good tempered breed of dog. The English Bulldog breed generally live between 8 and 12 years, although a survey measured in the United Kingdom put the breed at an average of 6.5 years old. The breed is known for having more than usual problems in terms of health concerns. 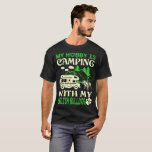 In fact a veterinarian once remarked on how only three English Bulldog patients could pay to run the clinic each year. As we are sure the breed is not that unhealthy, they can cost owners a lot of money as they are highly susceptible to many health issues. First, they are considered the breed most prone for hip dysplasia. Other conditions known to occur in the breed are: patellar luxation, interdigital cysts, respiratory problems, cherry eye, random allergies, and obesity, among others. 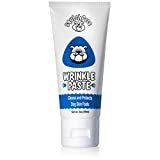 In addition, if you fail to keep the dog’s wrinkles, or skin folds, clean the dog can develop serious skin infections that will require veterinary care. Nearly 80% of all English Bulldogs are born via a C-section as their heads are usually too large to safely fit through the birth canal. Like other dogs that have short-faces called brachycephalic breeds are prone to overheating and hypothermia more so than most other dog breeds. 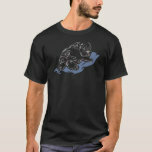 Finally, most English Bully owners will tell you that they are some of the most relentless “farters” of all dog-kind! In other words, the dogs are known for passing gas more than other breeds. Since the dogs tend to be low-energy, they do well in all types of homes including apartments. As long as you provide daily walks the dog will be fine. Make sure the dog is receiving enough exercise to prevent obesity, as some bulldogs have the tendency to become too lazy. They have short coats that are easy to maintain; in fact, they only require an occasional brushing. 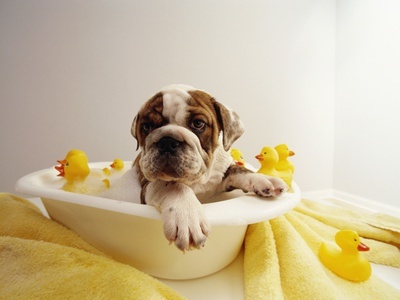 The dog should be bathed regularly and have all skin folds cleaned to avoid infection. 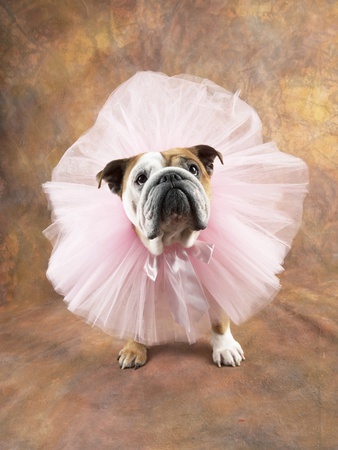 The English Bulldog is commonly seen as a mascot. In fact, it is the official mascot of the United States Marine Corps and many bases have their own English Bulldog living on-base! In addition, something like 39 Universities in the United States also names the breed as their mascot. Socks Are An Everyday Necessity For Most. Our Socks Will Give You Maximum Comfort And Style Simultaneously!! !